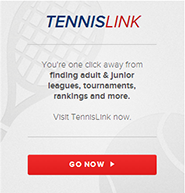 USTA FALL COMBO LEAGUE ... REGISTRATION NOW OPEN!! Teams formed by using the combined ratings of same gender partners. For example on a 7.0 team, a 3.0 player male player may play with a 4.0 male player. The combination format increases the flexibility of this league and allows players to play with friends and meet new people.